A man has been charged with murder after a rough sleeper who was seriously assaulted in Royal Pavilion Gardens, Brighton, died from his injuries. Police said he was 54-year-old Andrew O’Connell from Kent, who was rough sleeping when the incident occurred about 11.55pm on Tuesday evening (August 7) at Royal Pavilion Gardens in Brighton. In a statement, his family said: “Andrew O’Connell was a family man who was loved by many. Sergio Lemori, 32, unemployed and of no fixed address, was arrested in nearby Church Street shortly before 9pm on Wednesday (August 8). Police said he was remanded in custody and appeared before Brighton Magistrates’ Court today (Friday, August 10), charged with murder. Lemori has since been further remanded until the next hearing at Lewes Crown Court on Tuesday (August 14). 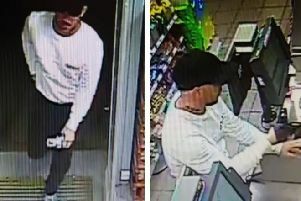 Police are not seeking anyone else in connection with the incident at this stage, however anyone with any information is asked to report it online or call 101, quoting Operation Dickenson.